Astrophysics is the physics of the stars, and more widely the physics of the Universe. It enables us to understand the structure and evolution of planetary systems, stars, galaxies, interstellar gas, and the cosmos as a whole. 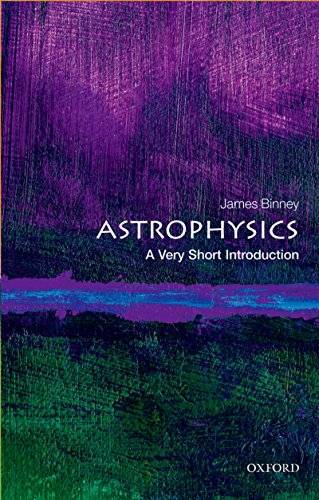 In this Very Short Introduction, the leading astrophysicist James Binney shows how the field of astrophysics has expanded rapidly in the past century, with vast quantities of data gathered by telescopes exploiting all parts of the electromagnetic spectrum, combined with the rapid advance of computing power, which has allowed increasingly effective mathematical modelling. He illustrates how the application of fundamental principles of physics - the consideration of energy and mass, and momentum - and the two pillars of relativity and quantum mechanics, has provided insights into phenomena ranging from rapidly spinning millisecond pulsars to the collision of giant spiral galaxies. 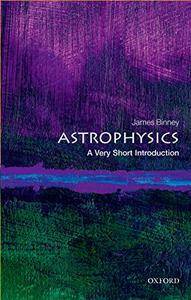 This is a clear, rigorous introduction to astrophysics for those keen to cut their teeth on a conceptual treatment involving some mathematics.